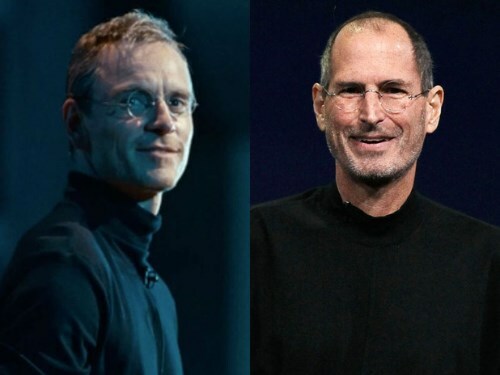 The product launches of Mac form the arc of the new film about Steve Jobs. The cameo drawn of inducing the new computer to say hello starts the film brilliantly. Unfortunately, all of the scenes that follow are cameos, unconnected and often lacking in punch. If they do have impact, they focus on themes like the damage done to Jobs by his adoptions. This emphasis is uncomfortably post-Freudian and makes you squirm. Can it possibly be that John Sculley, who had run the international corporation Pepsi, and who was sought out by Jobs to be CEO of Apple, kept reminding Jobs about the adoption? This is a company that grew to be as wealthy as the world’s 68th largest country. Jobs may have had Asperger's spectrum. Yet, like P.T.Barnum, he knew how to get an audience excited. Jobs delivered fantasies that worked. Consider the lines outside stores when a new Apple product is introduced? He knew how to fan the fires of desire, but also develop product. The film ends with a promise to his daughter Lisa that he will put 1000 songs in her pocket. The IPod was still in the future. So much is inexplicable in the film. The loyalty of Jobs’ ‘work wife’ Joanna Hoffman, played with extraordinary subtly and grit by Kate Winslet, stuck with Jobs… because…? We neither learn who Jobs was or about his work. He was notoriously direct, crude or even mean in his dialogue. But does anyone think for a moment that he didn’t have charm and a talent for identifying people he could work with and who would share his passion and drive? Where did that come from? He could be seduced by celebrity. He dated Joan Baez who said he had a sweet side. We get a taste of this in the film as he warms to his daughter, whose apple seems to have fallen not far from the tree. Played by three actresses this role is wonderfully quiet. Jobs was erratic. Why? And why didn't it effect his output? Or did it? Jobs zeroed in on the Barnum pieces. We get the famous Superbowl 1984 ad several times. Jobs was thrilled with the commercial. He thought that it would generate a buzz for the Macintosh without even featuring the product itself. Sculley, the creator of the Pepsi Challenge and Pepsi Generation while he was VP at PepsiCola (PepsiCo’s beverage wing), disliked the ad but was willing to defer to Jobs. Apple’s board didn’t agree. When the board was shown the ad, cofounder Mike Markula suggested that Apple drop Chiat/Day. Sculley was discouraged by the board’s reaction and asked Chiat/Day to sell back both Superbowl slots to CBS. Chiat/Day defied Sculley and only sold the thirty second spot. Steve Wozniak, who was still friends with Jobs at the time, heard about the board’s refusal to support the ad. Wozniak loved the ad and offered to pay for the spot personally if Jobs was unable to get Apple to air the ad. The ad was awarded the top prize at Cannes and was replayed constantly on news programs following the game. Chiat/Day estimated that 1984 generated over $5 million in free publicity. Jobs hangs in there and you do too as the film puts up one small scene after another. Performances are so compelling. We are also wishing and hoping that something about Jobs will finally be revealed. He did change the world, after all. You don’t get this in Steve Jobs.